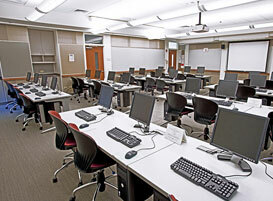 The UCLC Conference Center has three dedicated classrooms available for computer or Internet intensive training. 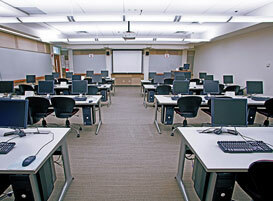 Each room is equipped to ensure that all of your attendees have access to the same systems or websites simultaneously. In addition, we can install your unique software in a secure networked environment for only your meeting or class times. Our lab computers are networked to a secure server and utilize virtual desktop software which ensures that no virus activity can occur and no data can be mistakenly left behind. Option to preload your applications into a server based virtual desktop environment.